The IPOA (Irish Property Owners' Association) December 2013 newsletter contained articles on the proposed "Deposit Protection Scheme". 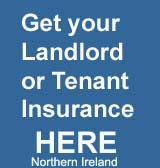 A scheme based on the English, Welsh and Scottish schemes was introduced in Northern Ireland from April 2013 whereby a landlord by law had to "protect" any deposit they are holding. The IPOA newsletter says that the introduction of a Deposit Protecction Scheme in the Programme for Government and Jan O’Sullivan TD, The Minister of State, Department of Environment, Community and Local Government with special responsibility for Housing and Planning said in November that bringing forward a tenant deposit protection scheme would be a priority for 2014.Speaking at the launch of Threshold’s annual report the Minister said, “I am currently bringing residential tenancies legislation through the Oireachtas and in the coming weeks I will introduce amendments in the Seanad to provide a framework for a deposit protection scheme for tenants. According the newsletter The PRTB's (Private Residential Tenancies Board) 2012 report shows they were asked to enforce 123 orders against landlords for not paying back deposits at the end of the dispute resolution process.